It's no secret that the Star Wars films are starting to dig a little deeper into the backstory of its Skywalker Saga favorites, starting with a Han Solo prequel that features Alden Ehrenreich in the role originated by Harrison Ford. If that film is successful enough, it'll likely increase interest in peeks at some of the other characters' pasts, and who has a more interesting history than Princess Leia Organa? Sure, we got to see how her parents fell in love during the Star Wars prequel trilogy, but there are a lot of dots still to connect. The late, great Carrie Fisher unquestionably made the role her own, and left some big boots to fill with her untimely passing in December 2016. If they did want to mine the character's backstory for a standalone prequel, the studio would have to cast someone who's more than just a doppelgänger for the Leia we've known and loved for so many decades. It'd be a tough gig, but here are a few young actresses who might be equipped to pick up the old blaster and bring Leia back to life. The fact that Billie Lourd is Fisher's own daughter means she certainly deserves some consideration. She not only looks like her mother, but from what we've seen of her screen appearances in Scream Queens and other roles, she also seems to have inherited Fisher's signature tenacity and deep sense of humor. Lourd made a cameo appearance in Star Wars: The Force Awakens, telling reporters, "I wish I played a young princess." Who better to manage her mother's legacy than Lourd? On the other hand, that might be too great an emotional burden for the actress to bear. Stranger Things starlet Millie Bobby Brown has already thrown her pint-size hat into the ring by declaring that she'd love to play a young Princess Leia in a prequel. Thanks to her breakout role as Eleven in Netflix's sci-fi sensation, Brown has already proven she can hold her own in an onscreen fight. She also picked up experience grappling with the sort of fantasy/sci-fi fiction world that she'd delve into in a Star Wars movie (in other words, she'd have no trouble tackling the scripts that have given castmates, including Fisher, so much trouble in the past). Even better, Brown's got the same brown eyes and hair as the character, along with similar facial bone structure, so it's easy to picture her adopting the role without a hitch. She's also such a star on the rise right now that she seems like an easy pick to play the young woman who grows up with Senator Bail Organa and Queen Breha on Alderaan and becomes the face of the rebellion. Another young actress who looks like a ringer for young Leia is Girl Meets World star Rowan Blanchard. Like Brown, Blanchard has already had her fair share of high-action moments onscreen, thanks to her turn in Spy Kids: All the Time in the World in 4D—and she's also one to watch right now, as she'll star in Ana Duvernay's live-action adaptation of A Wrinkle in Time, giving her fantasy cred as well as a major platform from which to launch her film career. Perhaps most importantly, Blanchard also seems to have a youthful sense of wisdom and wit that would be an absolute necessity for playing young Leia. She might be best known for her work as the half-vampire love child Renesmee in The Twilight Saga's final film, but Mackenzie Foy has also proven herself a capable young talent on the rise: she shared the screen with Matthew McConaughey in Christopher Nolan's Interstellar and she has a lead role in Lasse Hallström's upcoming take on The Nutcracker and the Four Realms. 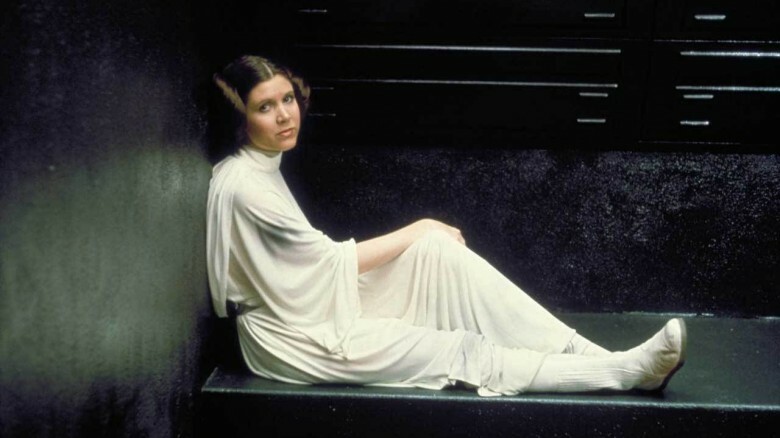 Much the way the then-young Carrie Fisher carried herself with a sense of self-confidence and capability but still maintained a softness that made her the apple of every guy's eye, Foy has a soft and steady composure that might suit the Princess of Alderaan quite well in younger form. Throughout Mad Men's six seasons, Kiernan Shipka grew into the secret MVP of the series, especially where its youngest cast members were concerned. While the actors playing her brother Bobby came and went without much fuss, Shipka blossomed into an important presence on the show as Sally, sturdily running counter to her parents' selfish behavior before subtly adopting some of their traits. What Shipka proved in that series is that not only can she deliver a sharp-tongued line like nobody's business, but she's also able to impart nuance and curiosity to situations to enrich a scene that might otherwise fall flat. Since a Princess Leia backstory would no doubt be brimming with the same sort of self-defining quest Sally had in Mad Men, it's not hard to imagine her handling those scenes very well. 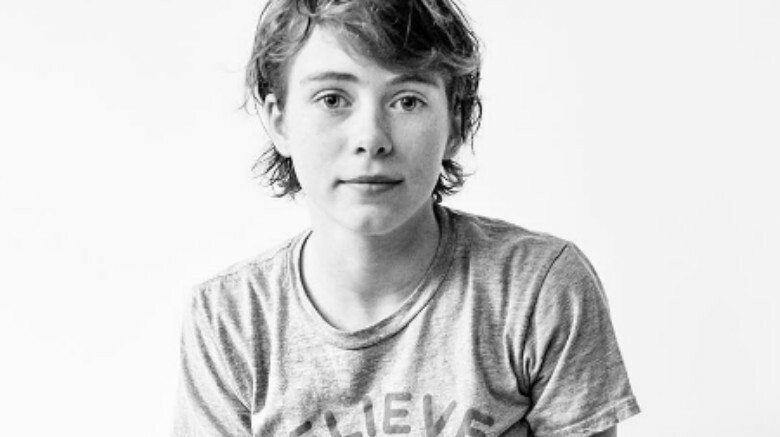 She might not be a household name just yet, but Sophia Lillis is also well on her way to becoming an important young actress. She not only visually oozes the same kind of stoicism that helped define Leia onscreen, but she's also got an undeniable air of authenticity. She'll star in the new film adaptation of Stephen King's It as the unconquerable Beverly Marsh, and should quickly start attracting attention from casting directors for even bigger projects in the very near future. She's also another ringer for young Carrie Fisher—a pair of brown contacts and those signature cinnamon bun locks are all it'd take to make the transformation complete.